In this month’s Aircraft Comparative Analysis, and with the HAI Heli-Expo due in California at the end of February, we provide information on a selection of new and pre-owned Single-Engine Light Turbine helicopters in the $0.82-$1.8 million price range for the purpose of valuing the Robinson R66 helicopter. We’ll consider the usual productivity parameters – payload/range, speed and cabin size – and cover current market values. The field in this study includes the Enstrom 480B and Eurocopter EC-120B. The R66 is Robinson’s first turbine-engined model, and was unveiled in March 2007 to compete with the Bell and Eurocopter helicopters. It made its maiden flight on 7 November 2007 at Torrance Airport, California, however, certification of the helicopter was delayed due to failure in the conventional tail rotor design. 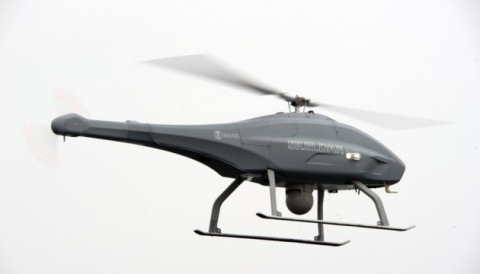 It eventually received FAA certification in October 2010 during a ceremony held at the Robinson headquarters in Torrance. The R66 is a 5-place helicopter. The center seat is slightly further forward and higher which helps shoulders overlap slightly for individuals with a wider set. The cabin – slightly longer than the R44’s – offers more legroom. Additionally, the R66 comes with increased reserve power, increased altitude performance, and a large baggage compartment as compared to the R44. The R66 is the first Robinson helicopter with a cargo hold, carrying up to 300 pounds. A single-engine helicopter (Rolls-Royce RR300) with a two-blade main rotor, twoblade tail rotor, and a skid landing gear, the R66 is constructed from advanced composites, aluminum alloy sheet and chromoly steel. Like the R44, the R66 has electromechanical instruments rather than the more modern glass cockpit. TBO is 2,000 hours (or 12 years) for the airframe, and 2,000 hours or 3,000 start cycles for the engine, whichever occurs first. Chart A shows the delivery history for the three single-engine light turbine helicopters in our comparison from 1997 to present. There have been 1,072 helicopter deliveries over this time period. The Eurocopter EC-120B has had the largest number of deliveries through year-end 2013 at 618. However, since entering the market in 2010, the Robinson R66 has had tremendous and instant impact on the market. Looking at the data, it would seem that some sales have come at the expense of the Eurocopter EC-120B. It could be argued that other sales derive from the R66’s relatively low price. Note: Light Turbine Helicopters continue to account for nearly half of the helicopter purchase plans being made by operators. As we mentioned in past articles, a potential operator should focus on payload capability as a key factor. The data contained in Table A is sourced from Conklin & de Decker, B&CA, and Aircraft Cost Calculator. The Robinson R66 ‘Available payload with Maximum Fuel’ at 924 pounds has the highest payload capability in this field of study, by some margin. According to Upcast Jetbook, the cross-section view of the Robinson R66 and the Eurocopter EC-120B are nearly the same width and height. However, as illustrated in Chart B the Enstrom 480B is nearly a foot wider than the R66 and EC-120B. Both the Robinson R66 and Enstrom 480B are powered by a single Rolls-Royce engine. As mentioned, the Robinson R66 is powered by an RR300 engine, and the Enstrom 480B is powered by a Rolls-Royce 250-C20W powerplant. The Eurocopter EC-120B is powered by a single Turbomeca Arrius 2F powerplant. The Robinson R66 offers power with a 270 SHD transmission rating [transmission rating is a limiting factor in the total rated and usable engine power output], while the 480B engine offers a transmission rating of 305 SHD, and the EC-120B transmission rating, at 400 SHD, is the highest in this field of study. Using data sourced from Conklin & de Decker and Vref we will compare our helicopters. The nationwide average Jet-A fuel cost used from the August 2013 edition of B&CA Operations Planning Guide was $6.08 per gallon at press time, so for the sake of comparison we’ll chart the numbers as published. Note: The fuel price used from this source does not represent an average fuel price for the year. The ‘Total Variable Cost’, illustrated in Chart C, is defined as the cost of Fuel Expense, Maintenance Labor Expense, Scheduled Parts Expense, and Miscellaneous trip expense. The total variable cost for the Robinson R66 at $450 has the lowest variable cost in this field of study. The result is a very large number so for the purpose of charting, each result is divided by one billion. The examples plotted are confined to the helicopters in this study. A computed curve fit on this plot would not be very tight, but when all turbine helicopters are considered the “r” squared factor would equal a number above 0.9. 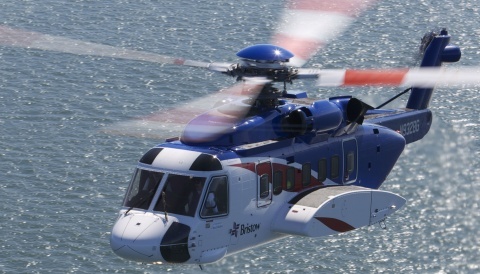 Others may choose different parameters, but serious helicopter buyers are usually impressed with Price, Range, Speed and Cabin Size. After consideration of the Price, Range, Speed and Cabin Size, we can conclude that the Robinson R66 helicopter, as shown in the productivity index is productive compared to the other helicopters represented. Most noteworthy is the price of the R66 which is considerably lower than the other helicopters in this field. Other factors to consider are that the R66 has the nearly 2.5-3.5 times greater payload capability, lower fuel usage, and has the lowest variable cost as well. The Long-Range cruise speed and Average Payload values from Conklin and de Decker are shown in Table B for all the helicopters in this field of comparison. Also shown in Table B is the Vref price for new helicopters. The last three columns of information show the number of helicopters in-operation, the percentage ‘For Sale’, and the average monthly number of sales transactions in the past 12 months. 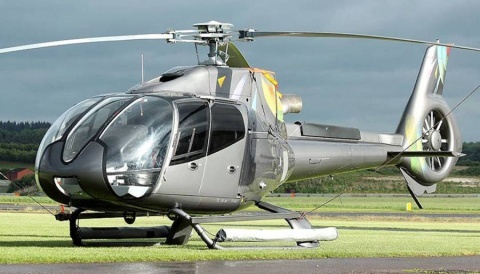 The R66 has the lowest percentage ‘For Sale’, and the average full retail sale transactions at 3.1 helicopters sold in the pre-owned market each month, which is slightly lower than the 3.3 EC-120Bs sold, but higher than the average 2.5 Enstrom 480Bs sold monthly. Chart E, sourced from the Multidimensional Economic Evaluators (MEE), Inc., shows a scatter chart of Asking Price vs Age for the Robinson R66 turbine helicopter. The current pre-owned market for the Robinson R66 shows that there are 15 helicopters currently ‘For Sale’. Eleven of the 15 have an asking price with only four inviting offers. We have plotted the comparison to helicopter age. For the R66, one Standard Deviation is $84.6K (68.3% of the Population), while two Standard Deviations is $169.2K (95.4% of the Population). Observation: Adjusted R2 of 43.8% is not Stellar – there may not be enough observations yet for this relatively New Helicopter. Chart G, depicts the ranges from London, UK for both the Robinson R66, Enstrom 480B and Eurocopter EC-120B helicopters. The Robinson R66 has a slight ‘Seats Full Range’ advantage compared to the EC-120B and both helicopters can make the distance to the European Continent to cities such as Paris and Amsterdam. The Enstrom 480B offers less range capability. Note: The circle lines depicted do not account for winds aloft or any other weather-related obstacles. Within the preceding paragraphs we have touched upon several of the attributes that helicopter operators value. However, there are often other qualities such as service and support that factor into a buying decision, and are beyond the scope of this article. The Robinson R66 helicopter fares well against its competition – so those operators in the market should find the preceding comparison of value. Our expectations are that the Robinson R66 helicopter will continue to do very well in the pre-owned market going forward.